I finally got all of the New Dirt for Tree Peony Garden raked out. Now I've also added a good layer of pulverized dolomitic limestone on top. 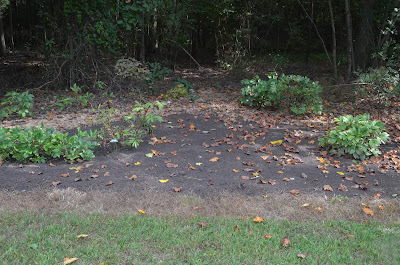 This will help reduce the soil Ph in this garden since I've seen moss try to grow in this area. 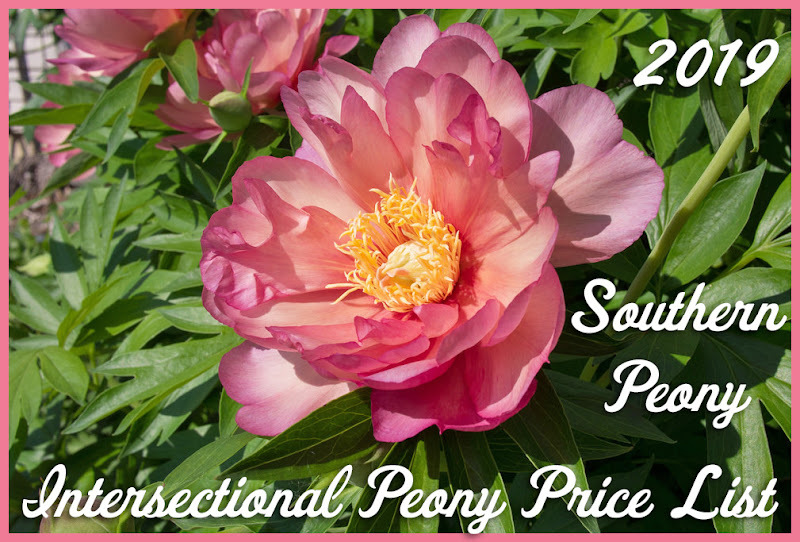 So now as the tree peonies come in for planting, I'll cultivate the soil, mix in the limestone and a handful of organic fertilizer, and make a nice planting hole for each tree peony. I got the first one planted on Wednesday. It is Chinese Tree Peony 'Xiang Yu' ('Fragrant Jade'), which is supposed to a vigorous growing, white double flowered tree peony from China. 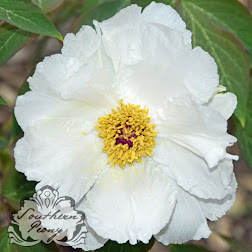 I am excited to see whether any of the tree peonies that are to be planted will bloom next or take some time to settle in and establish themselves before sending out a blossom.